Under Federal and State anti-discrimination laws and the Fair Work Act, Australian employers are charged with a responsibility to ensure that people who apply for a job or who work for them are treated in a fair manner. This means that they are not subject to unlawful discrimination or to any form of harassment or bullying. This makes it vital for all employers (including those at Churches of Christ organisations) to familiarise themselves with workplace laws around these issues, and that they put procedures and practices that promote church workplace health and safety. It’s also important to note that these laws apply not only to employees, but also to contractors, volunteers and students on work placements. This occurs in cases where a person is treated less favourably than others in a workplace due to certain characteristics – such as race, ethnic origin, political view, gender, pregnancy, age or disability, and even involvement in trade union activity or possessing a criminal record. Unlawful discrimination could occur in a workplace during various phases of employment – including recruiting / hiring, offering promotions, dismissal, and when offering terms and conditions of the job. However, ‘discrimination’ is not always unlawful as there may be certain exceptions that apply – such as when particular characteristics are required as they relate directly to the tasks of the job. Derogatory or insulting comments, jokes or taunts regarding race, gender or disability. Asking intrusive questions regarding a colleague’s personal life. Sending offensive texts or emails. Repeated acts of unwanted sexual attention. Spreading rumours or gossip about a colleague. Physical and / or verbal abuse. Intimidation, yelling, screaming, and using offensive language. Applying pressure to behave inappropriately. Assigning meaningless tasks or deliberately changing work rosters to cause inconvenience. Undermining work performance – for example by withholding information or resources so an employee cannot do their job properly. Acting in a way to cause a worker to be excluded from others. The consequences of unlawful discrimination, bullying or harassment in a workplace can include poor morale and work performance, sickness and absenteeism, high turnover, physical and psychological injuries, workers’ compensation claims and / or other legal action. It’s important that all employers avoid acting in any way that could be seen as discriminatory, and that they also take any complaints received about bullying and harassment seriously and act upon them. Certain factors embedded within a workplace could also increase the risk of bullying and harassment – such as overwork, unreasonable job expectations and / or unrealistic deadlines, job insecurity, autocratic leadership styles, lack of guidance, inadequate training and resources, tolerance of unreasonable behaviours, and poor communication. Developing a workplace anti-bullying policy – this might include a written statement that bullying and harassment will not be tolerated, as well as information about the consequences for non-compliance and where and how to report incidents. Setting of safe work systems – such as clearly-defined job roles, adequate training and resources, and effective communication systems. A commitment to positive and respectful workplace relationships – for example, involving employees in decision-making, and promptly addressing unreasonable behaviours. 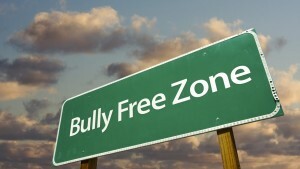 Determine whether a case of bullying exists, or whether it might be one of harassment or discrimination. Consider whether to take remedial action for reasons of health and safety – such as temporarily reassigning job tasks. Consult with external health and safety experts if required. Consider if conciliation may solve the problem, or whether the matter should proceed to a more formal investigation. You may also need to offer counselling, mentoring or training, and to look into redress of inequality, reinstatement of victims, ongoing monitoring and other actions. Unlawful discrimination and harassment and bullying can be complex matters in a workplace; see below for links if you would like more detail and assistance on these topics.